This speech, sent to me by my cousin Nelly, really made my night tonight. 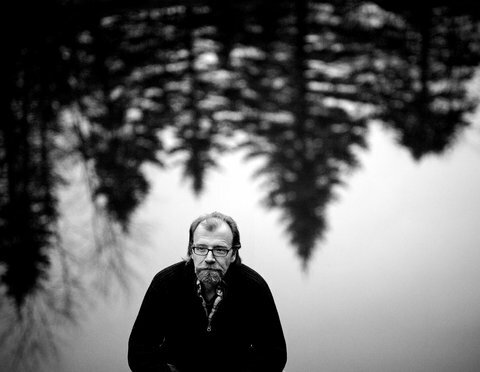 It’s by Syracuse professor and NYTimes writer George Saunders. Down through the ages, a traditional form has evolved for this type of speech, which is: Some old fart, his best years behind him, who, over the course of his life, has made a series of dreadful mistakes (that would be me), gives heartfelt advice to a group of shining, energetic young people, with all of their best years ahead of them (that would be you). And I intend to respect that tradition. So, quick, end-of-speech advice: Since, according to me, your life is going to be a gradual process of becoming kinder and more loving: Hurry up. Speed it along. Start right now. There’s a confusion in each of us, a sickness, really:selfishness. But there’s also a cure. So be a good and proactive and even somewhat desperate patient on your own behalf – seek out the most efficacious anti-selfishness medicines, energetically, for the rest of your life. Do all the other things, the ambitious things – travel, get rich, get famous, innovate, lead, fall in love, make and lose fortunes, swim naked in wild jungle rivers (after first having it tested for monkey poop) – but as you do, to the extent that you can, err in the direction of kindness. Do those things that incline you toward the big questions, and avoid the things that would reduce you and make you trivial. That luminous part of you that exists beyond personality – your soul, if you will – is as bright and shining as any that has ever been. Bright as Shakespeare’s, bright as Gandhi’s, bright as Mother Teresa’s. Clear away everything that keeps you separate from this secret luminous place. Believe it exists, come to know it better, nurture it, share its fruits tirelessly. I wish you great happiness, all the luck in the world, and a beautiful summer. "Drinking may take care of some things, but one of them is not common sense"
I LOVED this George Saunders speech. This spring I ordered his latest short story book because he is supposed to be a great writer. I haven’t read the book yet and haven’t read anything by him — but I want to. Now because of this, I can say I have read some of G.S. and I was not let down. His style is great, his humor on the mark, “we’re separate from the universe (there’s US and then, out there, all that other junk – dogs and swing-sets, and the State of Nabraska” (he got me with the State of Nebraska, how true, how provincial we are) and “we’re permanent (death is real, o.k. sure – for you, but not for me).” He’s so on. I’m glad he mentions the cyclical quality of ambition. It needs to be stated because it is so true and so present.” Succeeding,” whatever that might mean is hard and the need to do so constantly renews itself…” I chuckled. So thanks a bunch for posting this article. It’s a keeper.